A mathematical structure, called Zero-Totality (ZT), appears to be the most suitable mathematical architecture for the representation of duality concepts, dualistic relationships, and duality models. This website generalizes the concept of zer0, utilizing the the symbol Z to represent several types of symmetries. 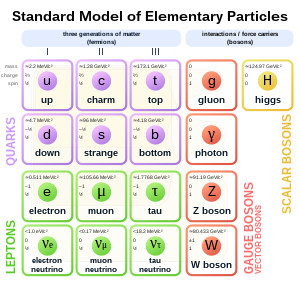 Symmetry is a tool used to analyze and understand particle physics and the fundamental interactions. Classical mechanics, electrodynamics, relativity, quantum mechanics can be understood using symmetry models. The symmetries involve the fundamental parameters space, time, mass and charge. Charge represents the sources of the three nongravitational interactions: weak, strong, and electric. Space has properties required of any parameter used in making a measurement: it is real, nonconserved, and countable. The discipline of physics is based on systems in which conserved quantities remain fixed while nonconserved quantities vary. A conserved quantity is defined in relation to changes in a nonconserved quantity. The conserved quantities include energy, momentum and angular momentum, as well as mass and charge. The nonconserved ones are space and time. Physical systems can be described in terms of combined conservation and nonconservation principles. Physicists study how mass and charge, or quantities such as energy, momentum, and force remain constant, zero, or a maximum or a minimum while the space and time coordinates alter arbitrarily﻿. ZT unravels the many contradictory relationships found in both physics and biology. Consider the three numbers 5, 7, 21.